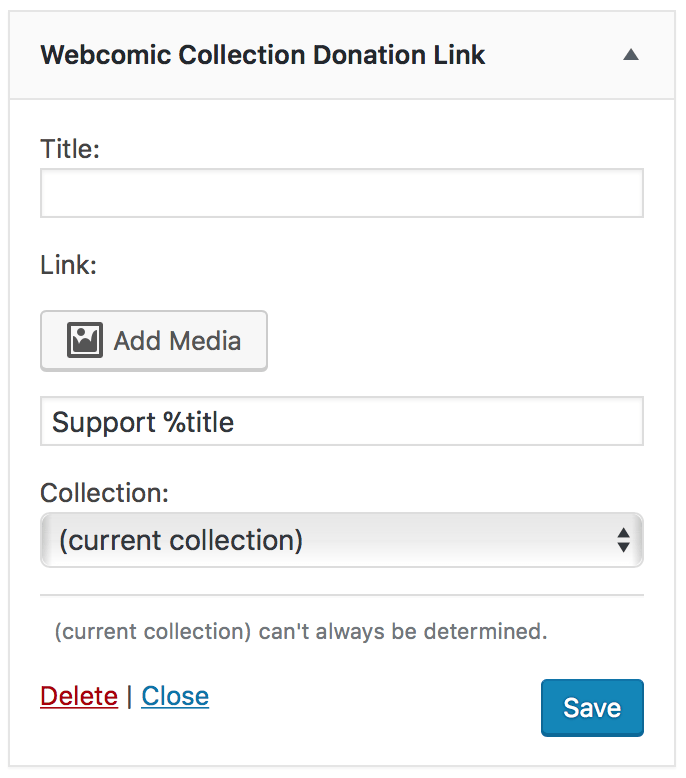 Display a link to a comic collection donation. Link text; accepts a variety of tokens. Will be used as alternate text if an image is selected. The collection to link to. The (current collection) can’t always be determined.